adopting any of the inquiry-based labs developed for this project at your institution. help (faculty workshops or consulting) with implementing Problem, Case Studies or Inquiry-Based Learning at your institution. If you attended the 2018 NABT conference, here is the presentation from the Fostering a Spirit of Inquiry in Introductory Biology Lab workshop. If you attended the Macmillan Lab Summit in Austin, here are the slides from the presentation - Fostering a Spirit of Inquiry in Introductory Biology Lab. AAAS/NSF Vision & Change: Chronicling Change & Inspiring the Future 2015 - a follow-up to the final report which summarizes some of the changes made in teaching biology at institutions around the country. A Vision of Students Today (by Students!) - Created by the Cutural Anthropology Class (Spring 2007) at Kansas State University (Prof. Michael Wesch). Upcoming Summer Workshops in teaching using inquiry-based, problem-based & collaborative methods. 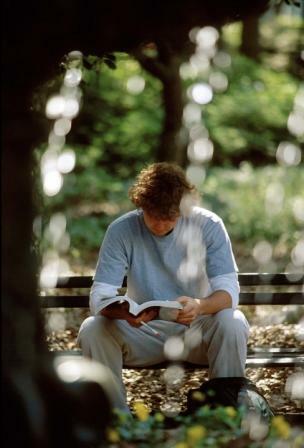 “Learning can be externally encouraged, but only internally initiated. Such a statement, however, in no way relieves a teacher of serious responsibility and the effort that goes into effective classroom behavior. These ideas, in fact, point out clearly that good teaching entails a great deal more than abundant knowledge clearly articulated. The real goal of teaching is to persuade students to initiate their internal learning processes.” -Robert Leamnson, Thinking About Teaching and Learning. NSF DUE 0410720 - This project utilizes Problem-Based Learning (PBL) and inquiry-based laboratories to teach the core concepts of biology from the perspective of civically engaging issues or problems. Our goal is to facilitate civic biological literacy in college non-science majors’ biology students by utilizing PBL problems of timely importance and/or local interest to our students in order to provide a context and reason for learning. Related inquiry-based labs are designed to engage students in the process of scientific discovery in the context of understanding real world problems. Biology and science education undergraduates and graduate students are involved in the development and implementation of the curriculum as teaching assistants and peer facilitators. The evaluative thrust of the project is to assess how PBL/inquiry-based vs. traditional content-driven strategies affect the development of biological literacy by examining students’ pre and post course views about various aspects of science-technology-society. The SENCER Student Assessment of Learning Gains (SALG) is also being used to assess students’ views about how the different approaches affected their learning. Additionally materials to facilitate the training and support of college faculty and undergraduate and graduate teaching assistants are being developed. Dissemination of the methods and results of this project are on-going and will encourage and assist with reforms in other courses and at other institutions. Instructor PBL/Case Studies Resource Library - The intent of the resource library is to facilitate the teaching of introductory biology from the perspective of relevant, and real world issues that are likely to confront students in their personal, professional and civic lives. This Instructor Library Index does this by organizing teaching resources by both biological content area and by issue. Choose a topic/content area and get a brief list of issues which are relevant to that topic area. Click on an issue and get a detailed summary of available teaching resources (case studies, problems, videos, articles, activities, and other resources). SUNY Buffalo’s National Center for Case Study Teaching - This site contains case studies and other resources for assisting with implementation in the classroom. 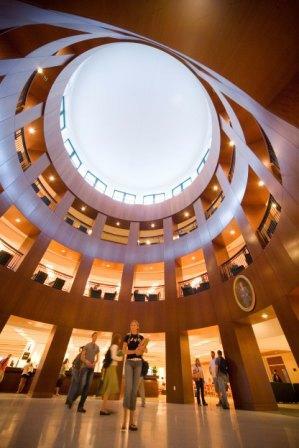 University of Delaware's Institute for Transforming Undergraduate Education. The PBL Clearinghouse has PBL problems, and teaching suggestions and resources for problems in many areas of science. This site requires free registration. MERLOT Biology Portal - A clearinghouse for a wealth of resources for teaching biology. Science Education Research Center at Carlton College (SERC) - Another clearinghouse of resources for science education for K-12 and undergraduate faculty. RubiStar - A neat little web site which helps teachers create grading rubrics for writing assignments. Rubrics are a scoring tool that lists the criteria for a piece of student work. A good rubric will list the things the student must have included to receive a certain score or rating. Rubrics help the student figure out how their project will be evaluated, and provide a way for teachers to standardize grading practice. I've also found that good rubrics make the process of grading writing assignments easier and faster. 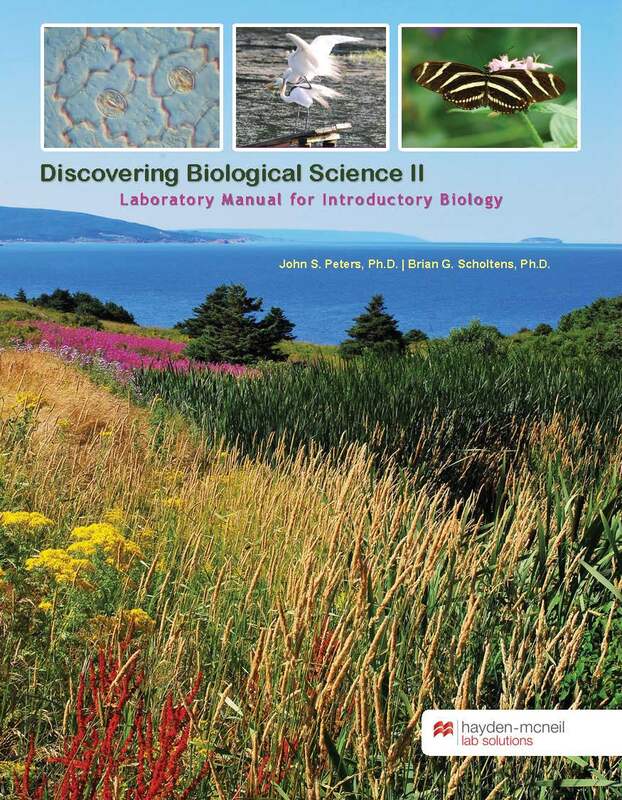 The Discovering Biological Science labs, developed by Dr. John Peters and Dr. Brian Scholtens weave together a series of labs which explore important introductory biology concepts, while providing students with experiences that lead them to understand and appreciate the collaborative, creative and dynamic nature of science. 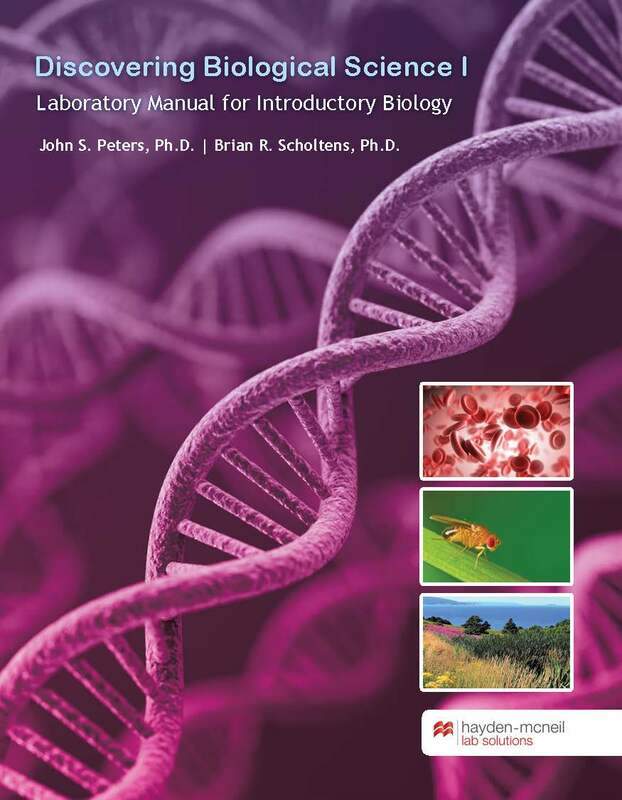 There are two different introductory biology lab manuals that can be adopted as is, or instructors can select individual labs for building a customized lab solution. The series of inquiry-based biology labs are suitable for both majors and non-majors courses and are available for preview and adoption through Hayden-McNeil of Macmillan Learning. 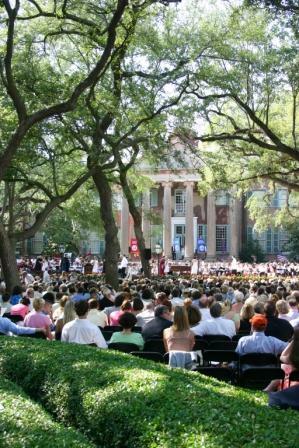 Feel free to contact the author John Peters, Ph.D. (petersj@cofc.edu) if you have questions. How are inquiry-based labs different from more traditional labs? The Helping Puzzle - A interactive activity which can be used to help students, SI Leaders, and faculty experience the benefits of collaborative learning. Team-based Learning - This site has articles,references, videos, and webinars that will assist you with effective implementation of collaborative learning in the classroom. Several articles in the TBL bibliography by Larry Michaelson at this site are essential reads if you are new to collaborative learning. Peer Instruction - Education is more than just transfer of information, yet that is what is mostly done in large introductory courses - instructors present material (even though this material might be readily available in printed form) and for students the main purpose of lectures is to take down as many notes as they can. Few students have the ability, motivation, and discipline to synthesize all the information delivered to them. Yet synthesis is perhaps the most important - and most elusive - aspect of education. In this engaging seminar, Mazur shows how shifting the focus in lectures from delivering information to synthesizing information greatly improves the learning that takes place in the classroom. The Readiness Assurance Process (RAP) - These short quizzes, which I refer to as RATS (Readiness Assurance Tests), are short (5-10 minute) quizzes given at the beginning of the class period. The purpose of RATs is to 1) check student knowledge of biological concepts from the reading/research for that day's class; 2) give both the teacher and the student feedback on what was learned from the reading; 3) engender active/collaborative and critical discussion among students about biological concepts and their problem applications; 4) help the teacher determine what concepts from the reading students need help with during class. RAT's (or RAPs) are usually first taken individually, and then again in teams. Students receive both and individual grade and a team grade oneach RAT. More information on the theory and practice of the Readiness Assurance Process can be found in the article by Larry Michaelsen below. Sample Peer Evaluation form and instructions. Hold individual members of teams accountable to their team by using peer evaluation forms after each problem or case study in which team-work is involved. IClicker - This is a student response system (each student receives a response device known as a "clicker") which interfaces with the teaching computer in your classroom. The system allows you get anonymous feedback from your students about their learning. At the CofC, we have a classroom set of ~82 clickers and 2 base receiver units. Clifton Strengths (formerly StrenthsQuest) - This is an online instrument you can use to help students discover their natural talents; then teach them how to develop their talents into strengths, and coach them to apply their strengths. In collaborative learning, this instrument could be used to help students appreciate the diversity of strengths among teammates, an how to work together more effectively. download and review analyses of the students' responses. Field Tested Learning Assessment Guide (FLAG) - The Field tested Learning Assessment Guide (FLAG) web site was constructed as a resource for Science, Technology, Engineering and Mathematics (STEM) instructors to assess learning in their classroom. Bioliteracy Project - Concept inventories in biology: "Our goal is to develop and distribute tools to assess whether students are learning what teachers think they are teaching." 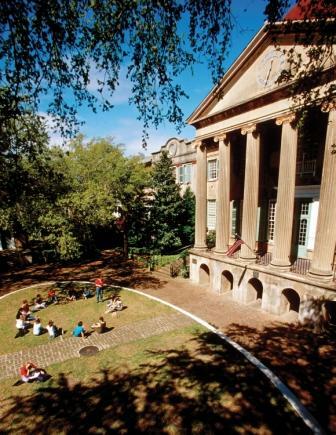 College of Charleston General Education goals and the Natural Sciences or the AACU's General Education Goals - How well does your non-majors biology course meet these goals? International Journal for the Scholarship of Teaching and Learning. 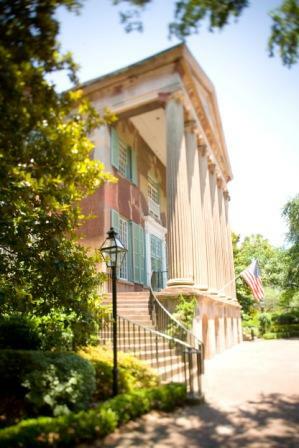 Go to http://www.georgiasouthern.edu/ijsotl/email_notification.htm to receive email notification of new issues! Interdisciplinary Journal of Problem-based Learning. Go to http://docs.lib.purdue.edu/ijpbl/announcements.html to receive email notification of new issues! Southern Illinois University's Problem Based Learning Initiative - this site has an extensive bibliography on PBL research. At MIT, Large Lectures are Going the Way of the Blackboard. by Sara Rimer. A recent article in the New York Times regarding MIT's switch to small, collaborative and inquiry-based introductory physics classes. Why Peer Discussion Improves Student Performance on In-Class Concept Questions. Science 2 January 2009:Vol. 323. no. 5910, pp. 122 - 124. - Research into the effect of peer-discussion on students' understanding of concepts. Thematic Maps of Focus Group Interviews - Problem-Based Learning (PBL) and Traditional Instructional Models in College General Education Biology: Student Perceptions about Learning Science. These maps summarize our findings from pre and post reform focus group interviews. Each map summarizes the project researcher's synthesis of student perceptions about learning that emerged from their course experience. SENCER Student Assessment of Learning Gains (SENCER SALG) - This web-based instrument is one of the instruments being used to assess students' views about how the course impacted their learning and and personal and civic engagement with science. Views on Science Technology and Society -(VOSTS) - A web-based and modified multiple response version of (VOSTS) - This instrument is also being used to assess students' views about the relationships between science and technology, the impact of science and technology on society, the nature of science, media vs.school presentations, and scientists' vs. the publics' role in socio-scientific decision making.